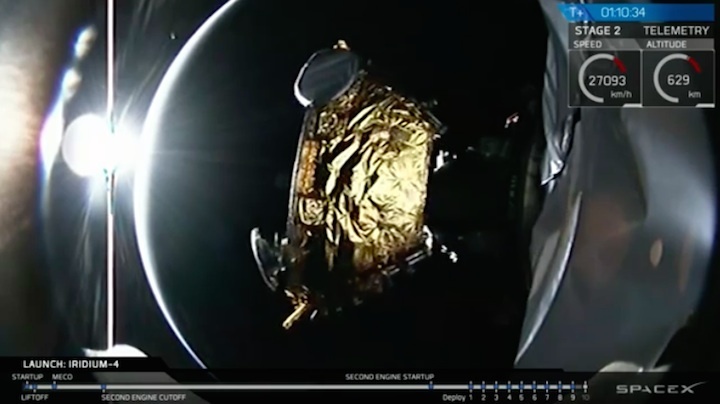 SpaceX is set to close out a record-breaking 2017 launch campaign Friday night with the delivery of 10 more Iridium voice and data relay satellites to orbit from Vandenberg Air Force Base, California. 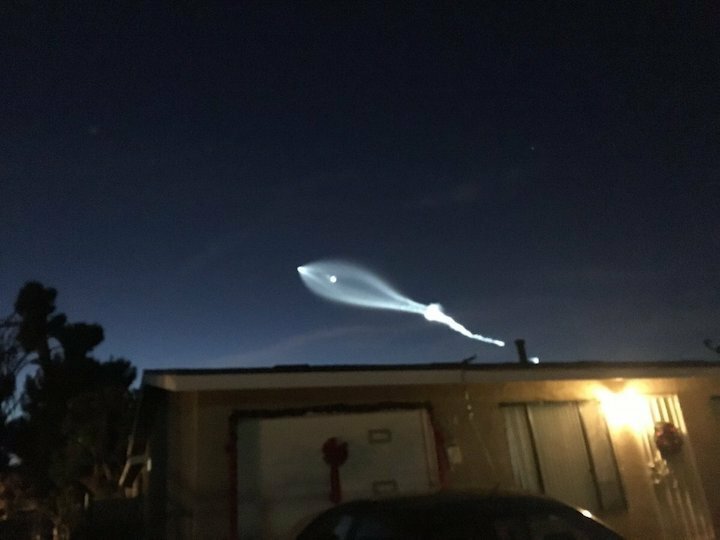 A Falcon 9 rocket is awaiting liftoff from Space Launch Complex 4-East at Vandenberg, a military base on California’s Central Coast northwest of Los Angeles. 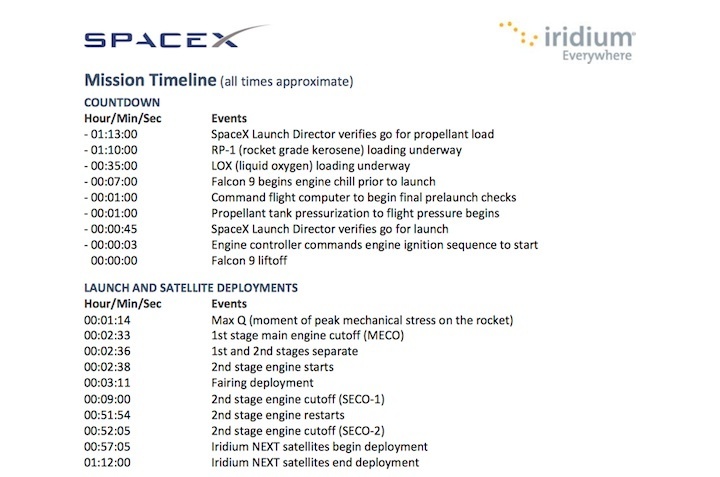 Launch is scheduled for 5:27 p.m. PST Friday (8:27 p.m. EST; 0127 GMT). 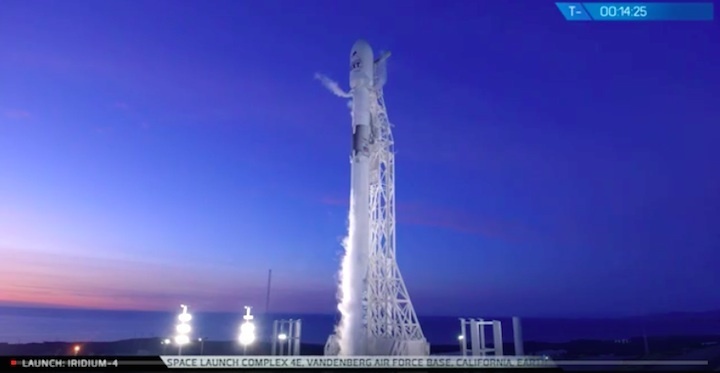 It will be SpaceX’s 18th Falcon 9 mission of the year, a record for a commercial launch company, and the fifth time a Falcon 9 rocket will fly with a previously-used first stage booster. 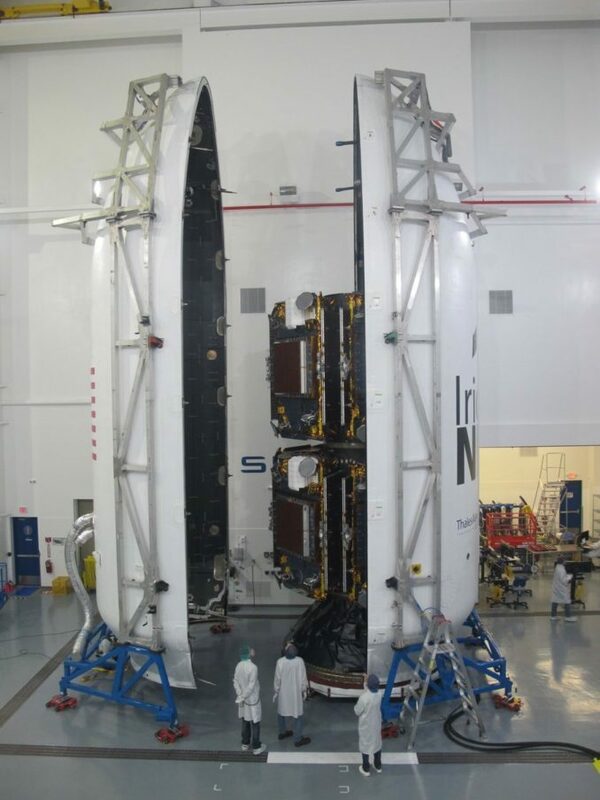 The 10 satellites inside the rocket’s payload fairing will join 30 others launched by three Falcon 9 missions earlier this year, pushing Iridium’s voice and data relay network over the halfway point in deploying a next-generation fleet of 66 spacecraft, plus spares, to replace an aging constellation dating back to the late 1990s and early 2000s. 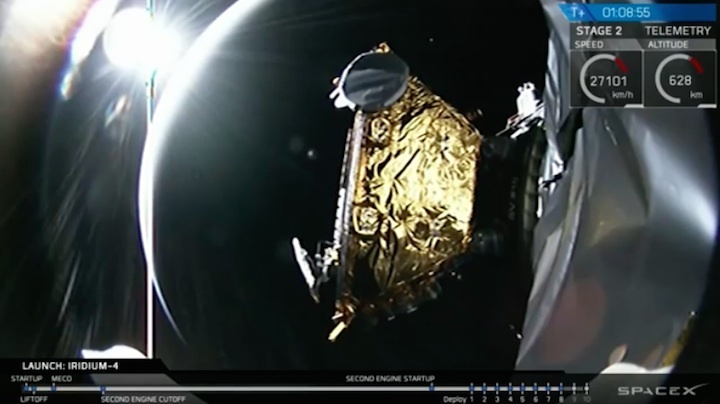 The new Iridium Next satellites, built by Thales Alenia Space and Orbital ATK in Arizona, each weigh about 1,896 pounds (860 kilograms) and are designed to function at least 15 years in orbit. 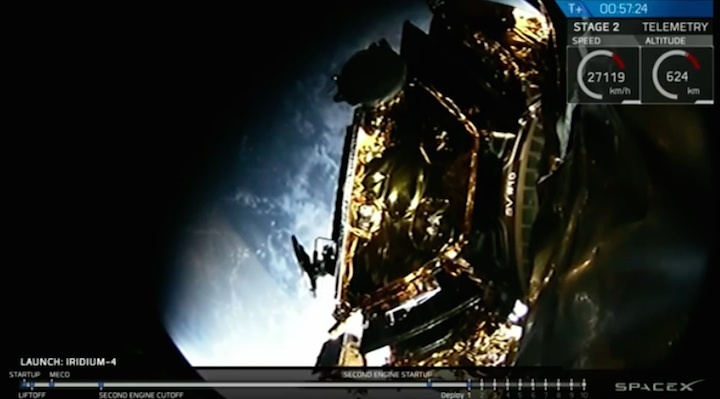 The Iridium fleet uses 66 active satellites spread into six orbital planes, ensuring the network has global coverage. 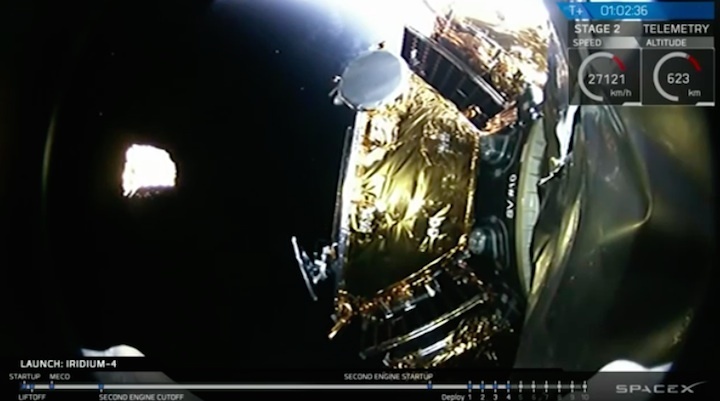 Iridium ordered 81 satellites from the Thales Alenia Space/Orbital ATK industrial consortium to round out the fleet with spares. 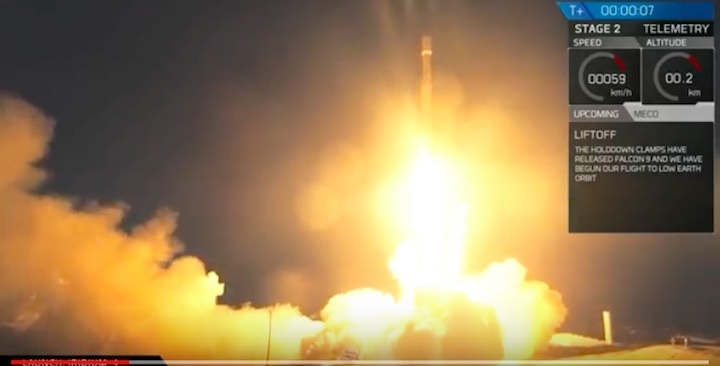 Each spacecraft carries inter-satellite radio links to hand off data and voice traffic without transmitting to the ground. 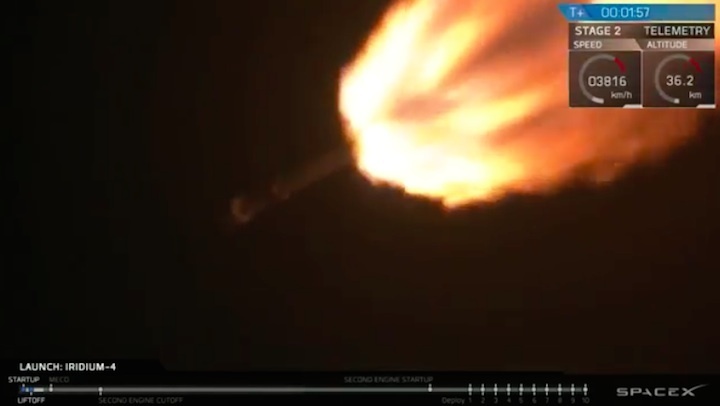 It will take about an hour for the Falcon 9 rocket to release the 10 satellites one at a time in a polar orbit 388 miles (625 kilometers) above Earth. 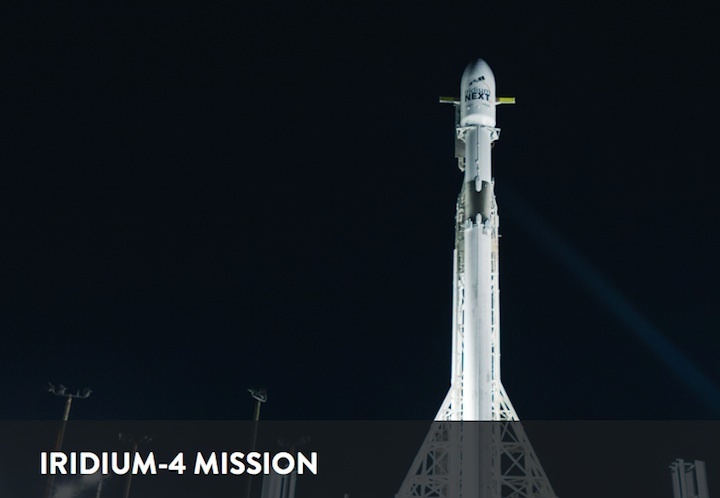 Friday’s launch will be the first time Iridium has elected to put its satellites on a previously-flown Falcon 9 booster. 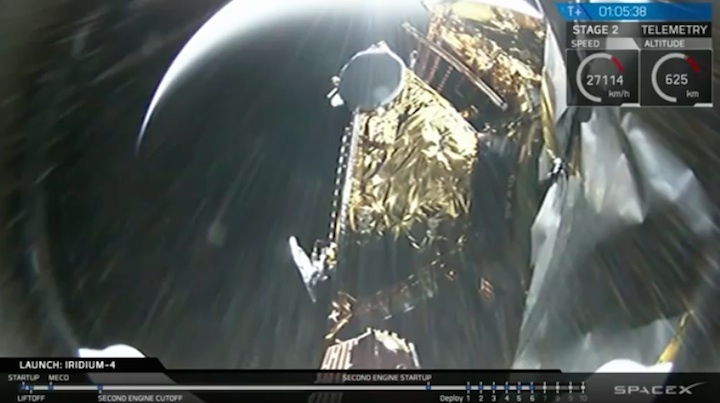 The first stage set for launch from Vandenberg first flew June 25 on a previous mission for Iridium, making the Virginia-based telecom company the first customer to use the same Falcon 9 booster twice. 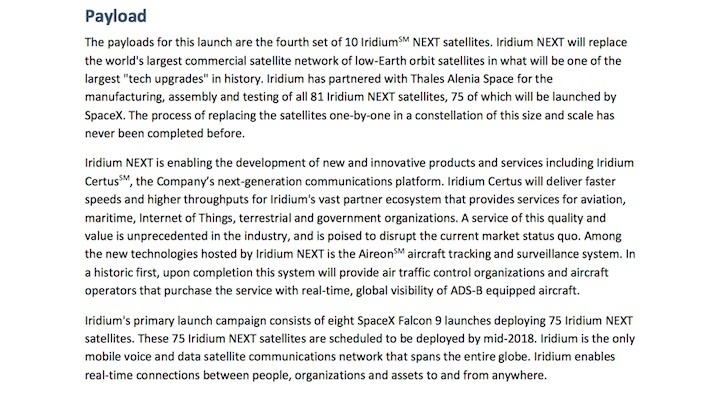 Desch said in October that Iridium chose to go with previously-flown boosters on its next two launches — the flight Friday and one in early 2018 — to keep pace with plans to complete the deployment of 75 new-generation satellites by the middle of next year. 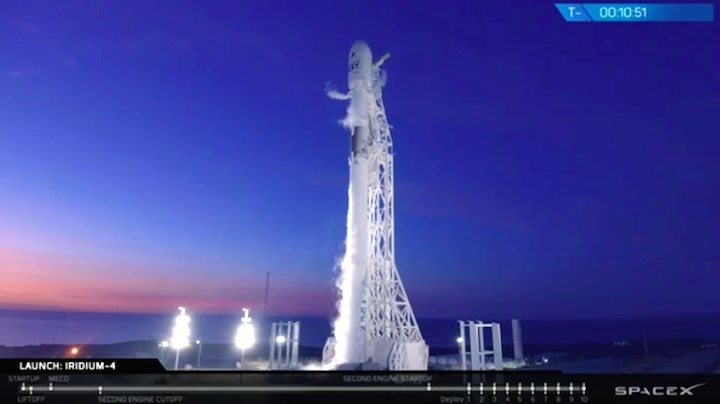 Iridium has purchased eight Falcon 9 rocket flights from SpaceX, and four more will remain after Friday’s mission. 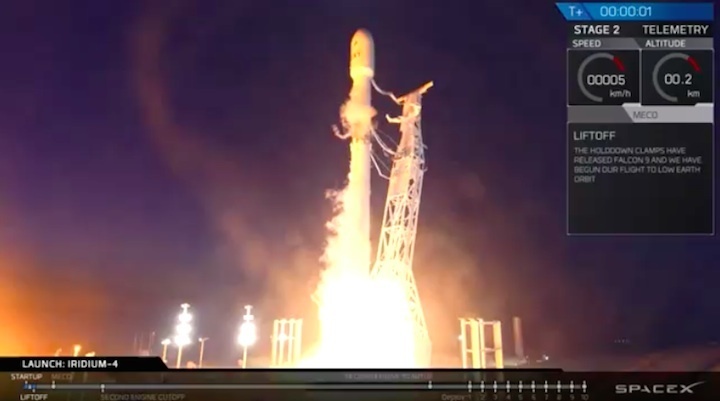 All four previous re-flights of Falcon 9 boosters have been successful, boosting payloads into space for SES, BulgariaSat and NASA. 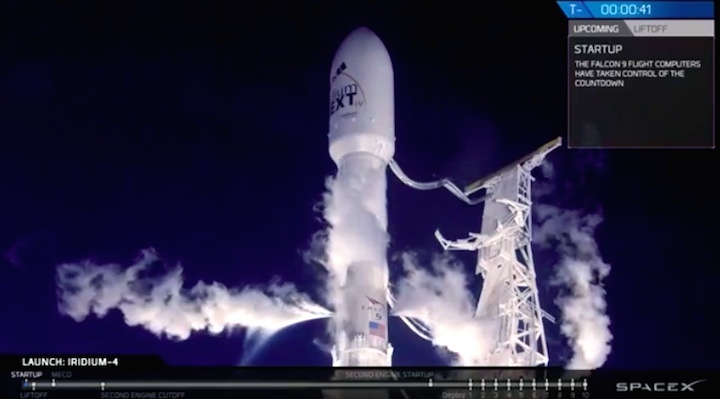 The 229-foot-tall (70-meter) Falcon 9 will head south after liftoff from Vandenberg, riding 1.7 million pounds of thrust into the sky shortly after sunset at the California launch base. 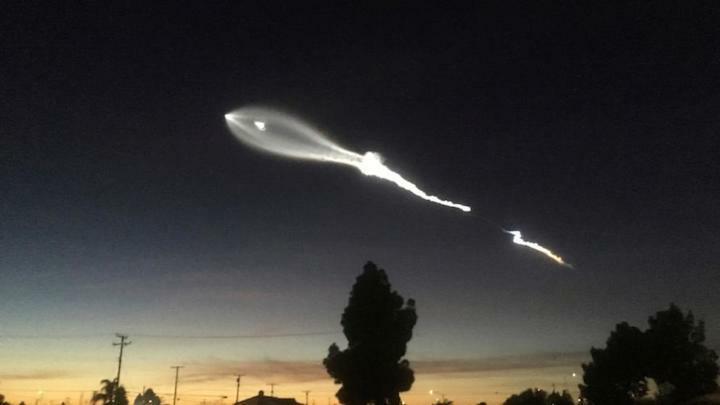 The slender white rocket will exceed the speed of sound in about a minute, and its nine Merlin 1D main engines will switch off at T+plus 2 minutes, 33 seconds. 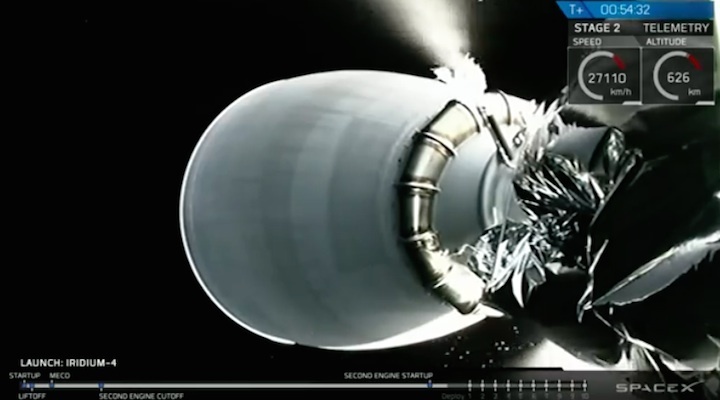 Three seconds later, the Falcon 9’s first stage will fall away, followed by ignition of the upper stage’s single Merlin powerplant to continue into orbit. 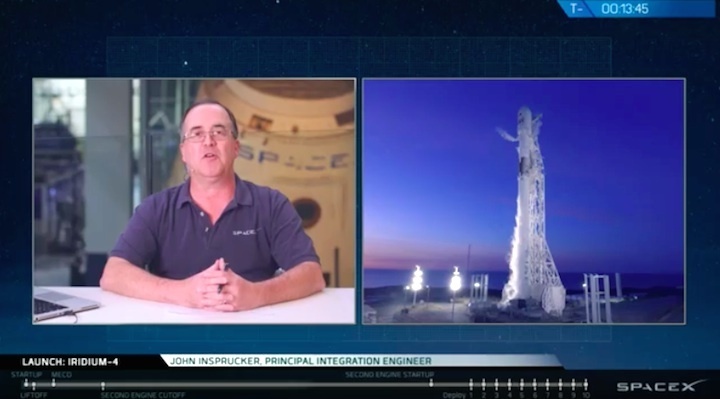 SpaceX does not plan to recover the first stage on Friday’s launch. 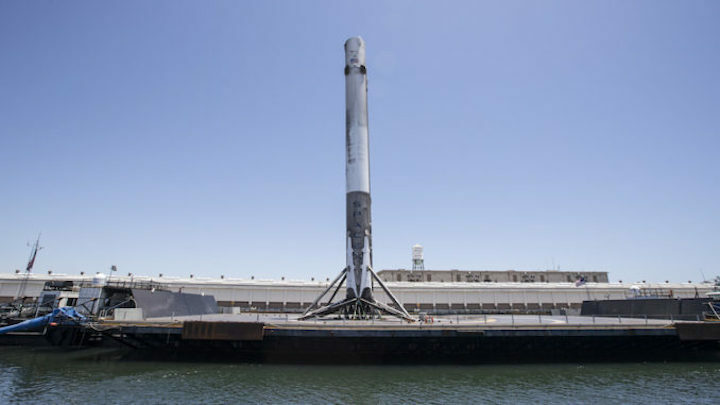 It is rare that the company does not try to land one of its rockets for refurbishment and reuse. 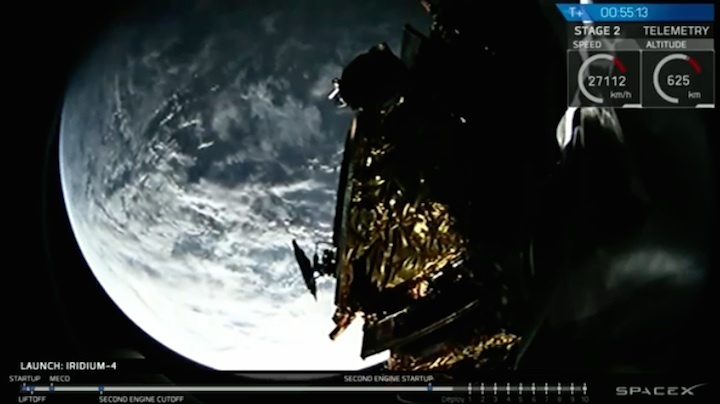 The Falcon 9’s first stage was disposed on three missions earlier this year, but those carried heavy satellites bound for geostationary orbit, a perch more than 22,000 miles (nearly 36,000 kilometers) above the planet. 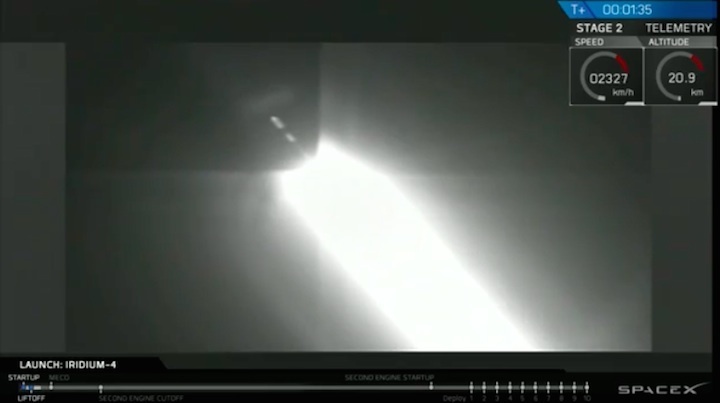 Launch profiles to such lofty orbits need more speed, and more fuel. 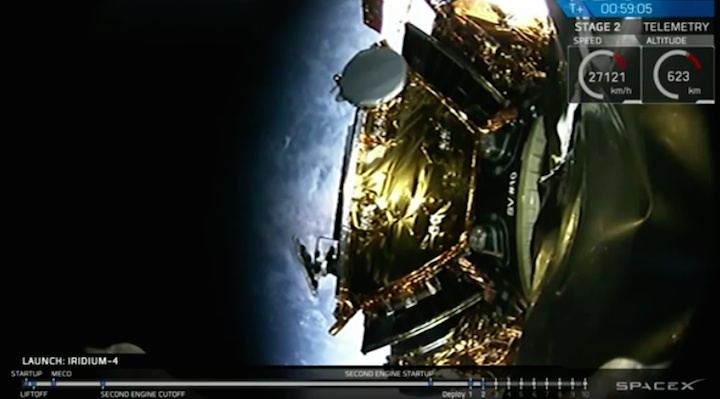 But the three earlier launches for Iridium included first stage landings on SpaceX’s mobile platform in the Pacific Ocean. 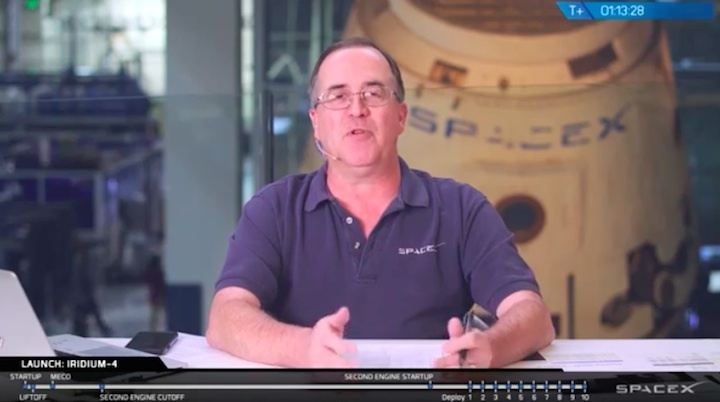 A reason for doing away with the landing on Friday’s launch has not been confirmed by SpaceX. 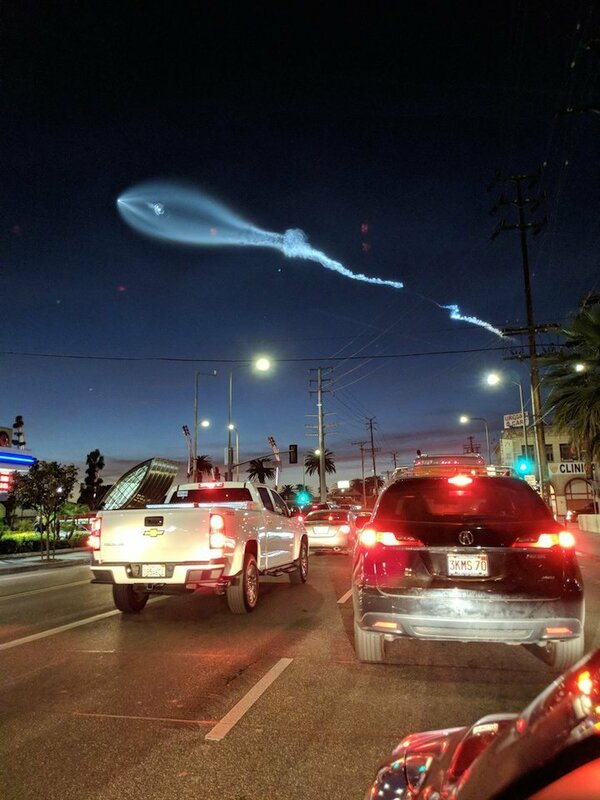 “These are case by case decisions and are based on mission requirements and the needs of our manifest,” a SpaceX spokesperson said. 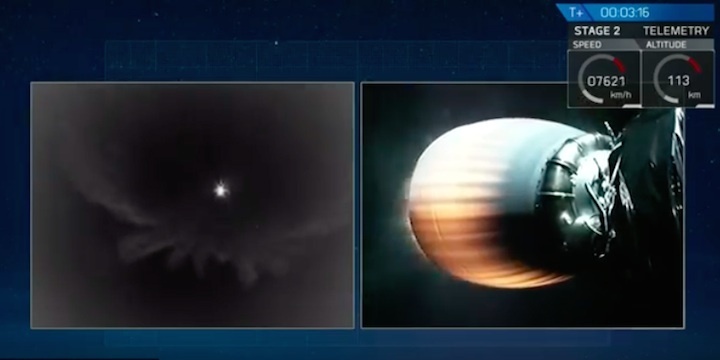 The Falcon 9’s payload fairing, a structure which cocoons the satellites during the first few minutes of flight, will release in a clamshell-like fashion at T+plus 3 minutes, 11 seconds. 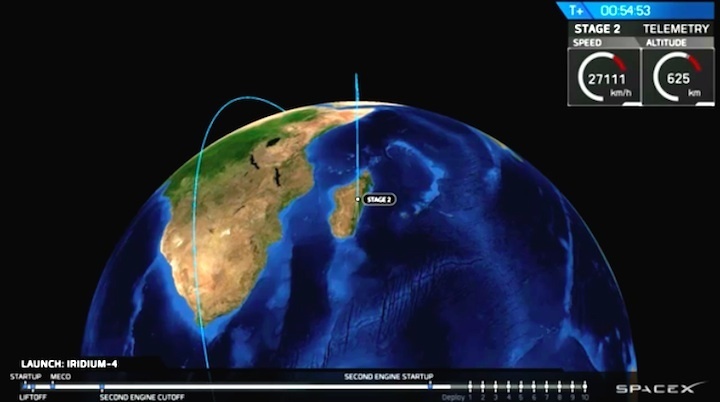 SpaceX may try to retrieve part of the payload shroud downrange from Vandenberg. 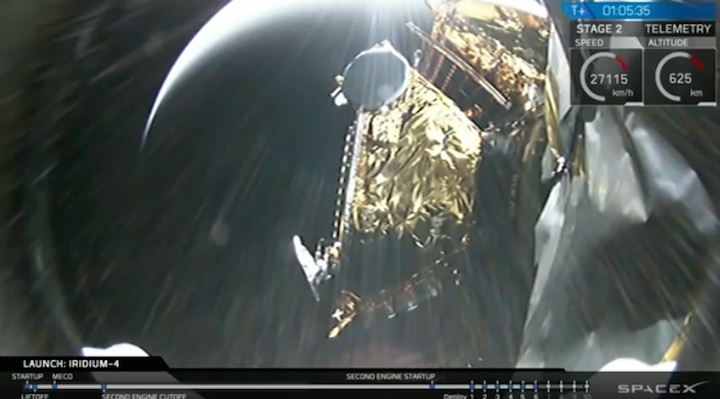 A fast boat linked to experimental fairing recovery attempts, named Mr. Steven, was relocated from Florida to California in recent weeks, and it has sailed south from the Port of Los Angeles on a heading toward the Falcon 9’s projected flight path. 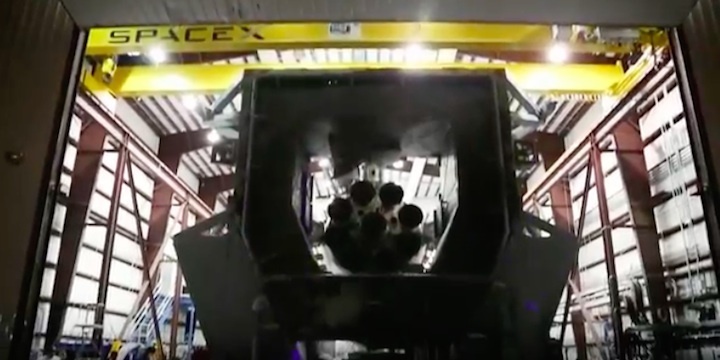 Engineers aim to eventually recover fairings, which come off the rocket in two halves, for inspections and re-flights. 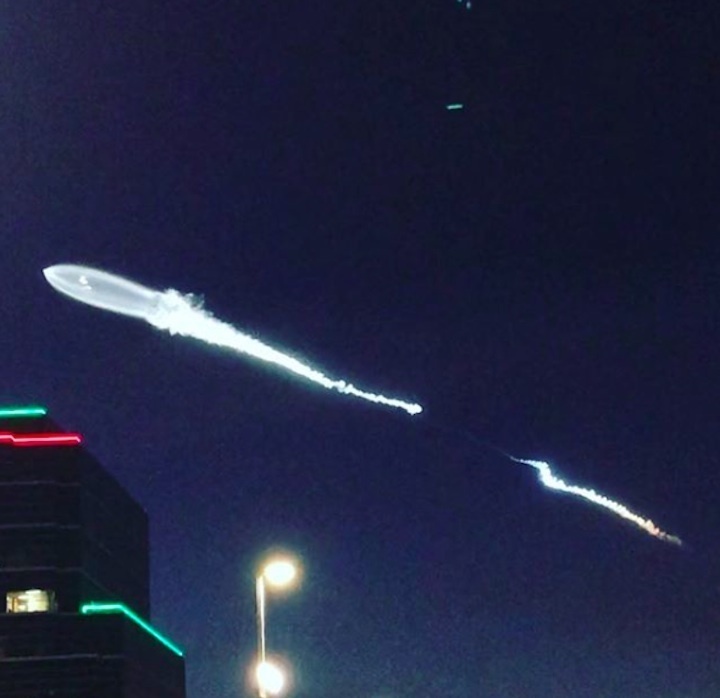 SpaceX founder Elon Musk said earlier this year the fairing costs around $5 million to produce for each launch, and reusing the parts would help the company achieve its objective of reducing the cost of spaceflight. 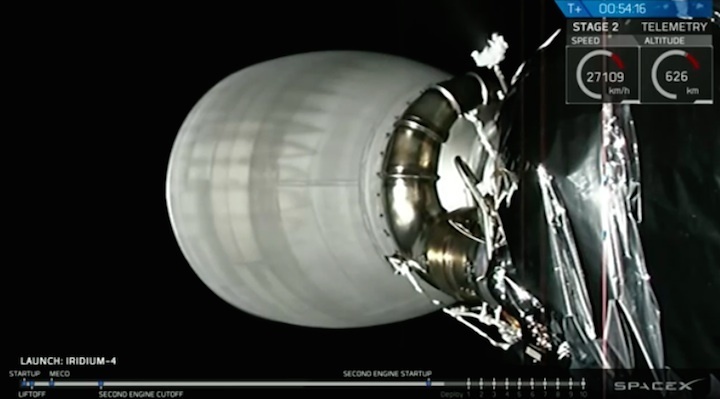 Two burns by the Falcon 9’s upper stage are required to place the Iridium satellites into the planned 388-mile-high orbit. 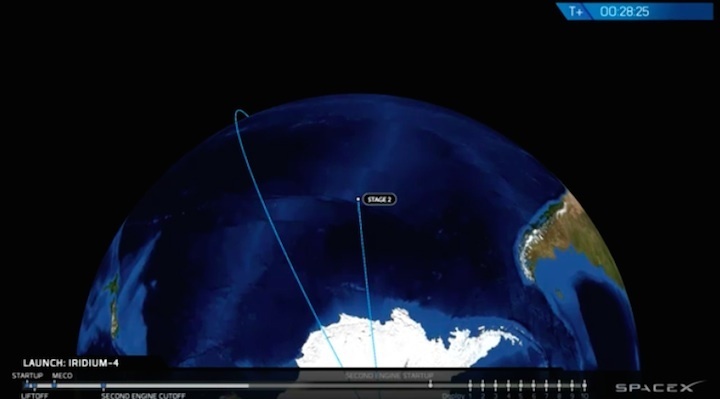 The first firing will end at T+plus 9 minutes, and the rocket will coast over the Pacific Ocean, then Antarctica, before reigniting the Merlin engine for a brief 11-second burn at approximately T+plus 52 minutes. 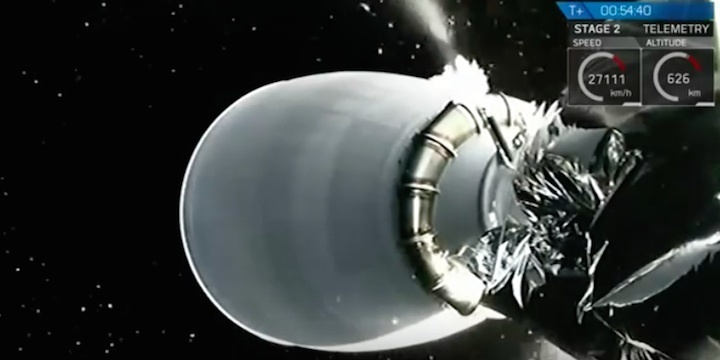 The spacecraft will deploy one-by-one from a specially-designed dispenser on the second stage. 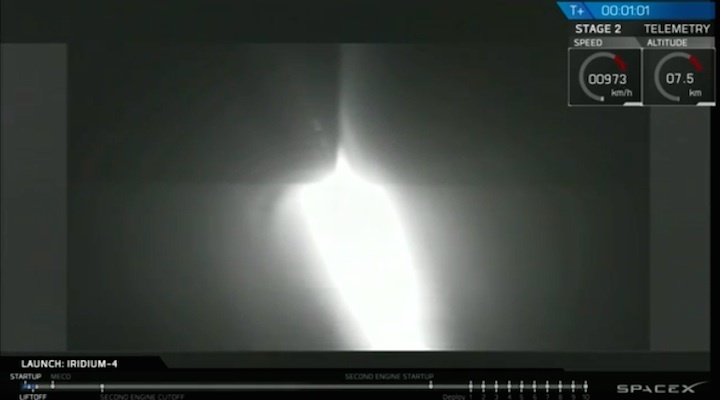 The separation sequence should be complete by 6:39 p.m. PST (9:39 p.m. EST; 0239 GMT) to wrap up the Falcon 9’s primary mission. 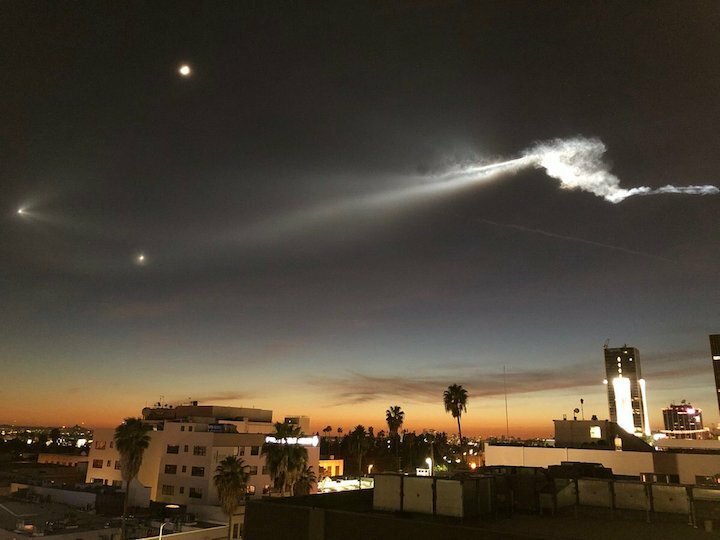 A de-orbit maneuver by the second stage is expected later Friday night to send the rocket on a destructive re-entry back into Earth’s atmosphere. 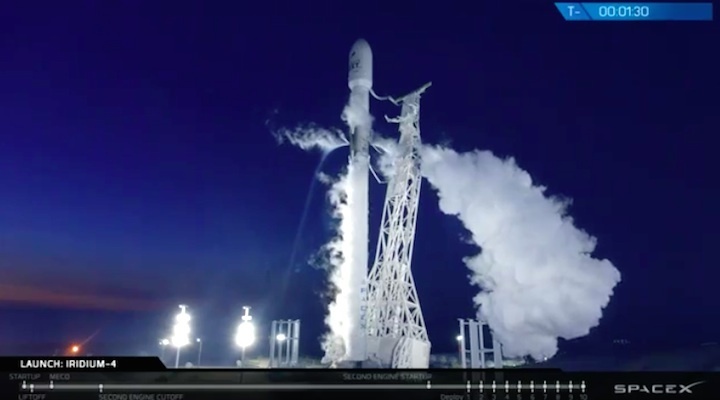 Friday’s launch will target Plane 2 of the Iridium fleet, and the liftoff will be timed for an instantaneous opportunity to place the satellites in the right location in the company’s network. 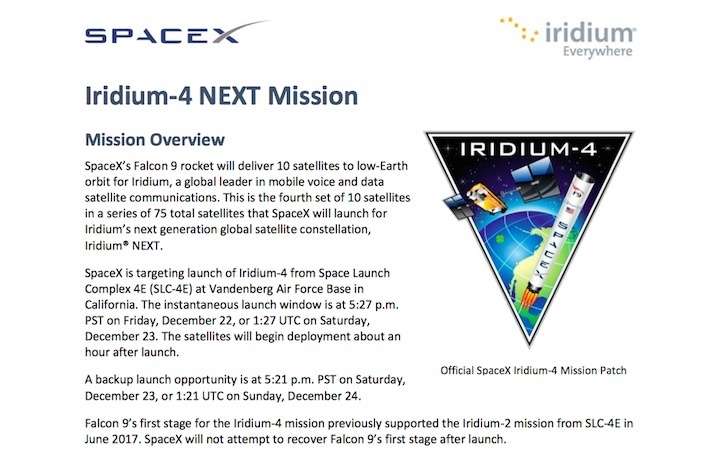 Iridium says nine of the 10 satellites launching Friday will go into service in Plane 2 after completing in-orbit testing early next year. Another will drift to Plane 1 to serve as a spare. 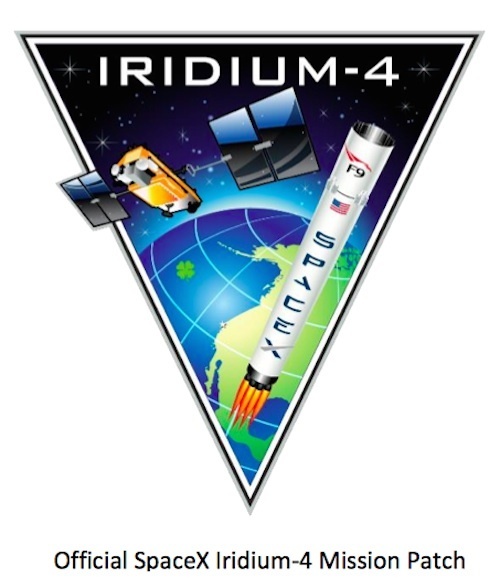 SpaceX is targeting launch of Iridium-4 from Space Launch Complex 4E (SLC-4E) at Vandenberg Air Force Base in California. 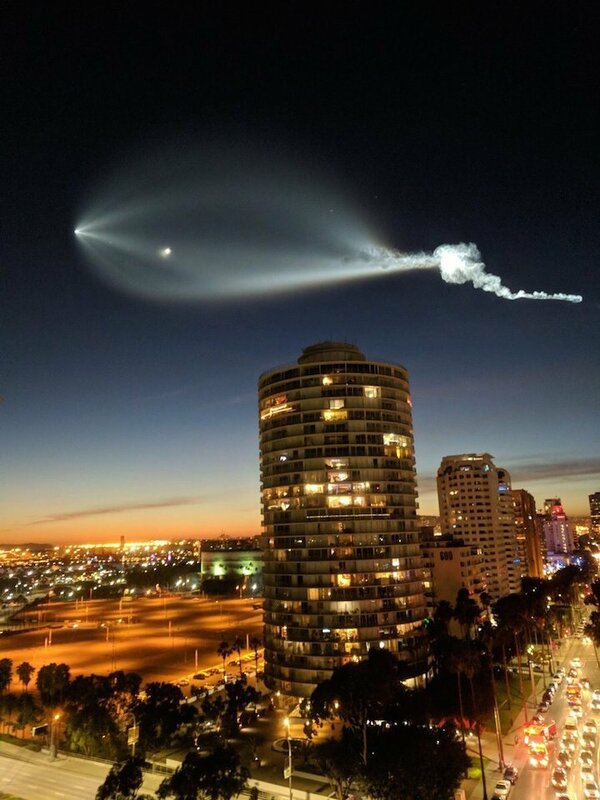 The instantaneous launch window is at 5:27 p.m. PST on Friday, December 22, or 1:27 UTC on Saturday, December 23. 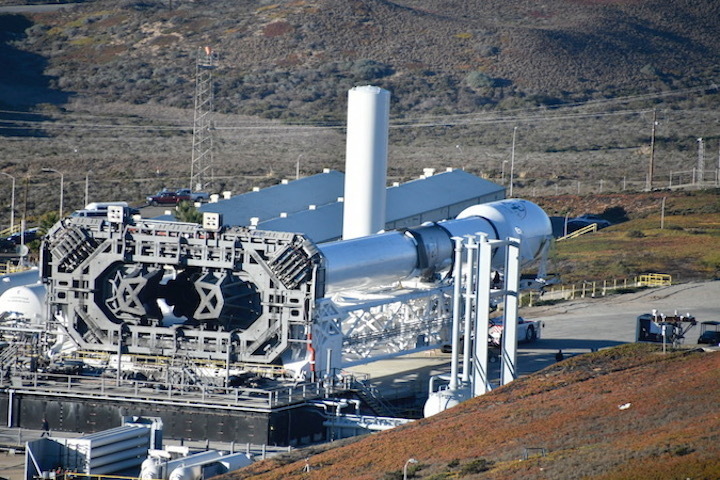 A backup launch opportunity is at 5:21 p.m. PST on Saturday, December 23, or 1:21 UTC on Sunday, December 24. 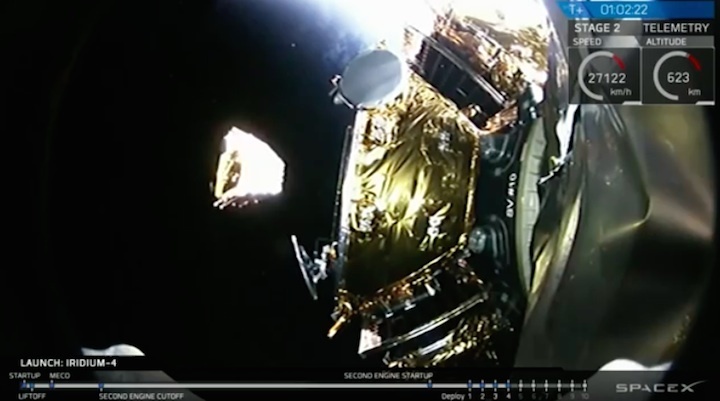 This is the fourth set of 10 satellites in a series of 75 total satellites that SpaceX will launch for Iridium’s next generation global satellite constellation, Iridium® NEXT. 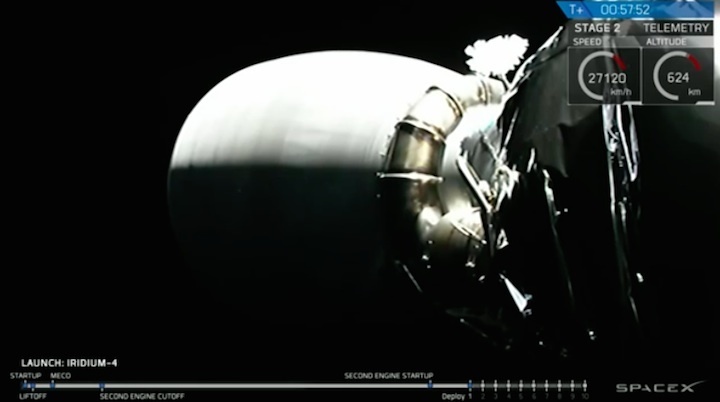 Falcon 9’s first stage for the Iridium-4 mission previously supported the Iridium-2 mission from SLC-4E in June 2017. 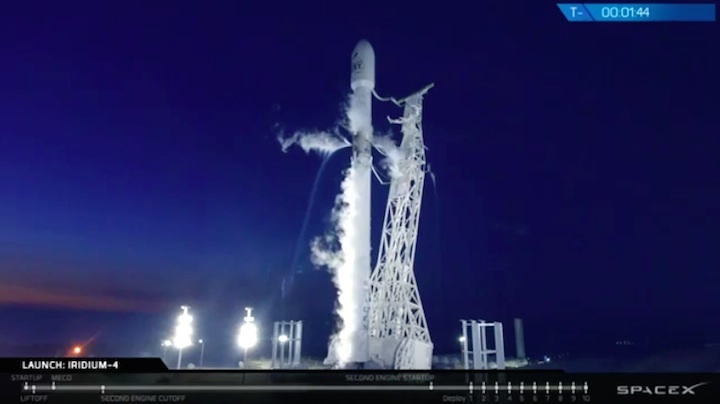 SpaceX will not attempt to recover Falcon 9’s first stage after launch.